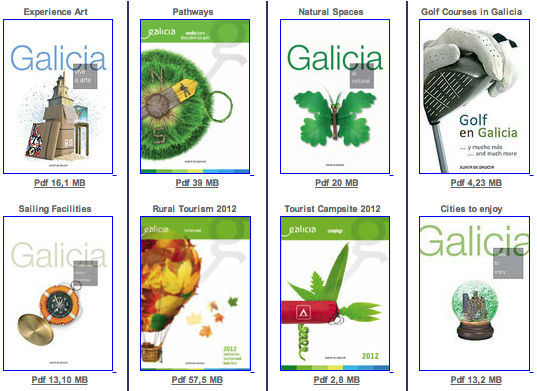 If you are looking for more information on Galicia related to Wine, Golf, natural spaces or pathways, you should know that you can download several brochures form the Turgalicia website. This web page has more than 20 brochures, all on tourist related topics. They span from topics like festivals in Galicia, beaches, and Galician “Rías” and the Bono Iacobus that is an interesting product related to pre-reserved lodging for pilgrims on the Camino de Santiago. All you need to do is to click the link, download the .zip file and then extract the pdf document to your computer.